Want to enjoy some of the creative, wellness, and productivity benefits of a live plant program, but worried your office just doesn’t have the space? Fear not! Today, there are plenty of tried and true solutions for workplaces with limited space for office plants. 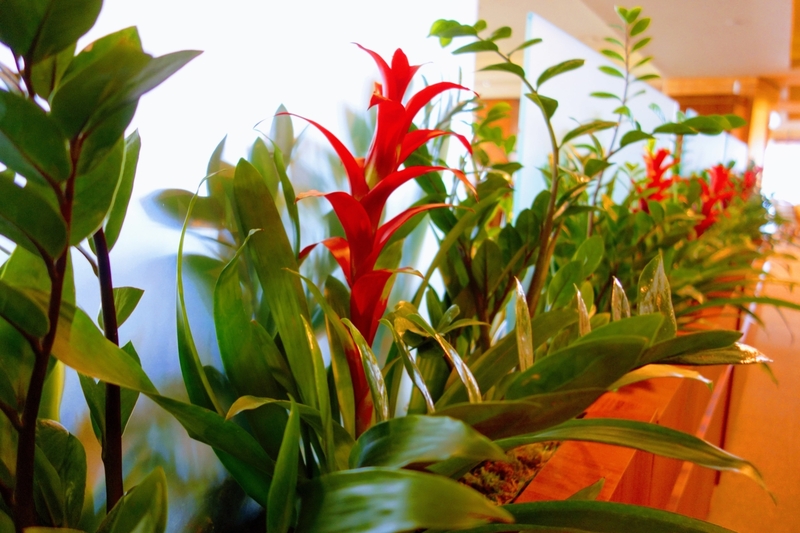 Below, three of our favorite ways to incorporate greenery into any office. So simple, but these can completely transform an office. There are several options for these kind of planters on the market, but our favorites come with adjustable clamps underneath to fit any divider and keep your plants firmly in place. Positioning these on top of dividers rather than hanging over one side means more visibility for your plants. It also creates an overall greener impression to anyone looking out into the space–great for when you’re showing potential new hires around. This style of planter works well for tops of cabinets, windowsills, and other narrower spaces where a single plant isn’t quite cutting it. We like to pair these with a combo of trailing and upright plants to get a more balanced look that maximizes visibility. For more color, it’s easy to add in guzmanias. Tall square planters are perfect for offices with just a tiny corner left for plantings, or even as a finishing touch for hallways. We use these to elevate plants so that they’re visible over desktops. Tall planters also create the impression of more executive-looking height. 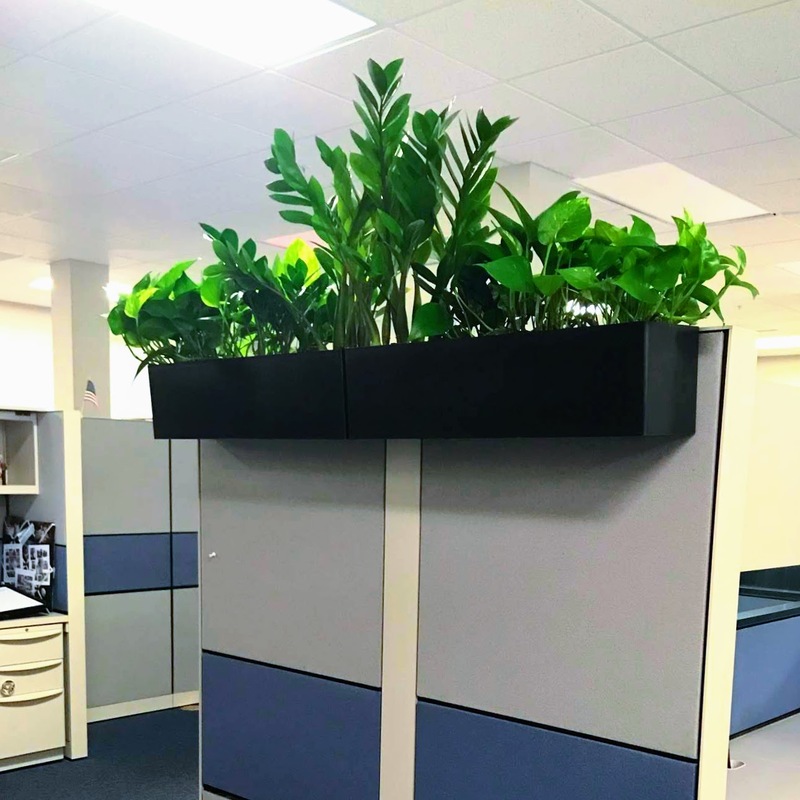 In smaller offices, we like to pair these with taller, skinnier canes for that tree-like height, or with ZZ plants for a modern, minimalist look with a sculptural quality. There are a huge variety of tabletop planter options. Our favorite for seriously tight spaces are tall squares or vases paired with mini plants. Upright plants create an opportunity to get creative with toppers. Use sea glass, sand, and pebbles create a unique and personalized look that compliments the plant and brings out its character. We love using polished river rock for a more natural look, or glass marbles in complementary hues for a fun pop of color to match distinct interior decor or corporate colors. 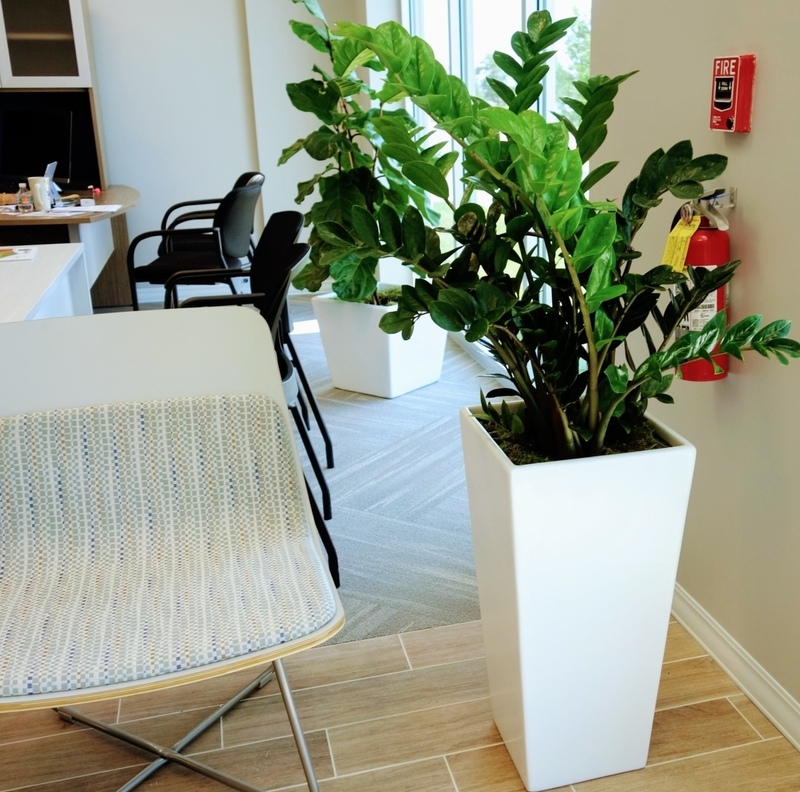 The key to a successful office plant program is find a combination of plants and planters that enhance your environment without creating clutter or interrupting the flow of traffic. What works for one space may not for another. Interested in a plan for your office? Contact a professional interiorscaper to schedule a free consult. 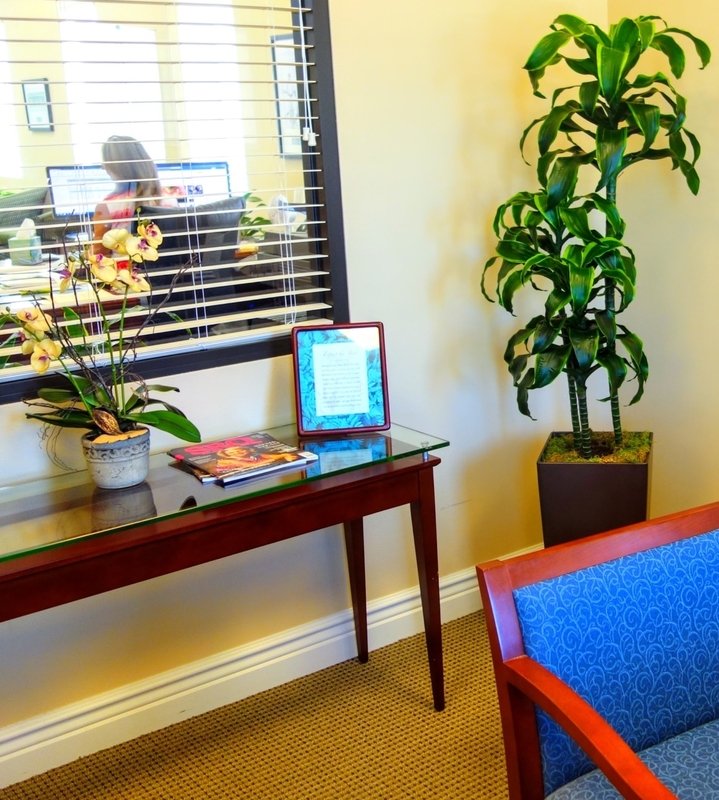 They can recommend appropriate plants, planters and other fixtures to create a custom plant program for your office, as well as displays for client-facing, high visibility areas like your reception and entry areas.